Exploring U2: Is This Rock 'n' Roll? features new writing in the growing field of U2 studies. Edited by Scott Calhoun, with a foreword by Anthony DeCurtis, Exploring U2 contains selections from the 2009 inaugural gathering of "The Hype and The Feedback: A Conference Exploring The Music, Work and Influence of U2." In keeping with U2's own efforts to remove barriers that have long prevented dialogue for understanding and improving the human experience, this collection of essays examines U2 from perspectives ranging from the personal to the academic and is accessible to curious music fans, students, teachers, and scholars alike. Four sections organize 16 essays from leading academics, music critics, clergy, and fans. From the academic disciplines of literature, music, philosophy, and theology, essays study U2's evolving use of source material in live performances, the layering of vocal effects in signature songs, the crafting of a spiritual community at live concerts, U2's success as a business brand, Bono's rhetorical presentation of Africa to the Western consumer, and readings of U2's work for irony, personhood, hope, conservatism, and cosmic-time. Official band biographer Neil McCormick considers U2 as a Dublin-shaped band, and Danielle Rhéaume tells how discovering and returning Bono's lost briefcase of lyrics for the album October propelled her along her own artistic journey. This thoughtful and timely collection recognizes U2's music both as art and commentary on personal journeys and cultural dialogues about contemporary issues. 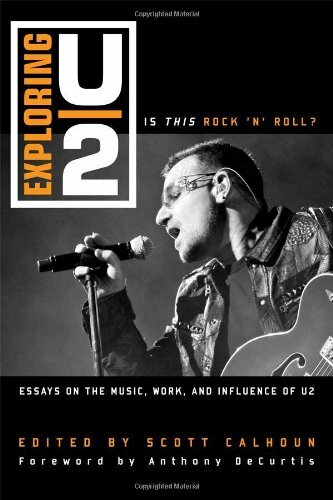 It offers insights and critical assessments that will appeal not only to scholars and students of popular music and culture studies but to those in the fields of theology, philosophy, the performing arts, literature, and all intellectually curious fans of U2.